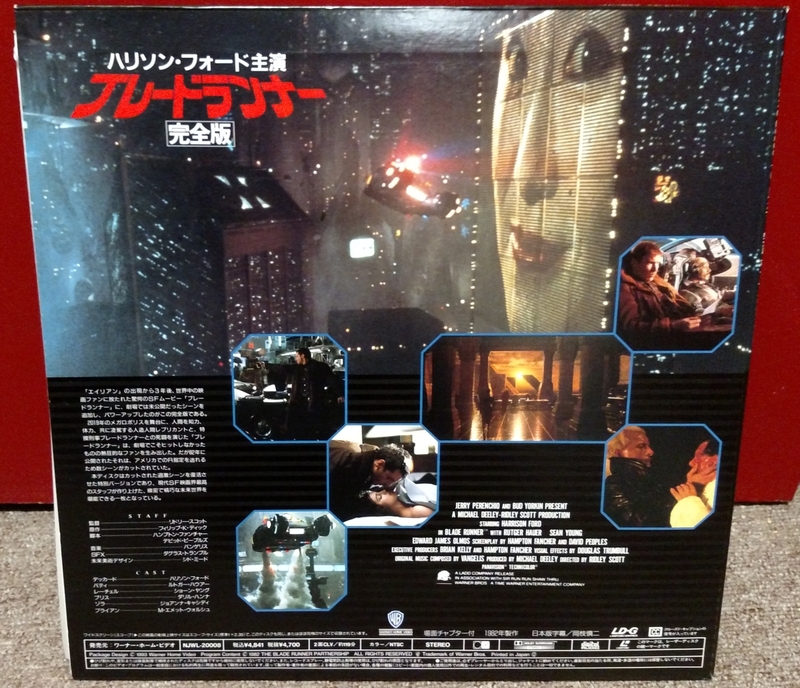 Ridley Scott’s Blade Runner may not have set the theatrical box office on fire back in 1982, but the film found enough of a cult audience on home video to warrant multiple releases on the Laserdisc format between 1983 to 1993. Over the years, I’ve collected most of them. 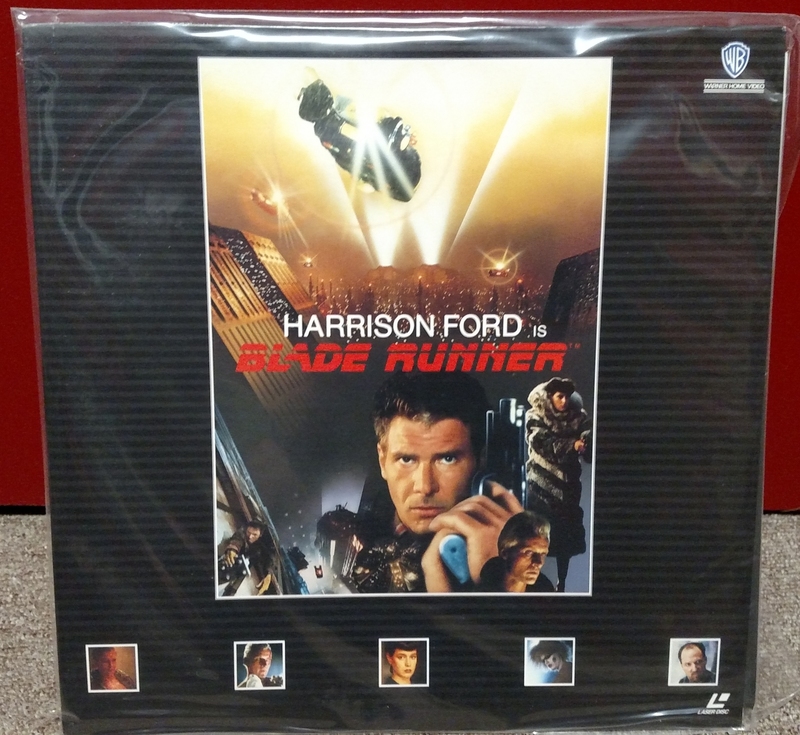 I don’t have much call to actually watch Laserdiscs in my home theater anymore. In fact, my LD player isn’t even currently connected to anything. 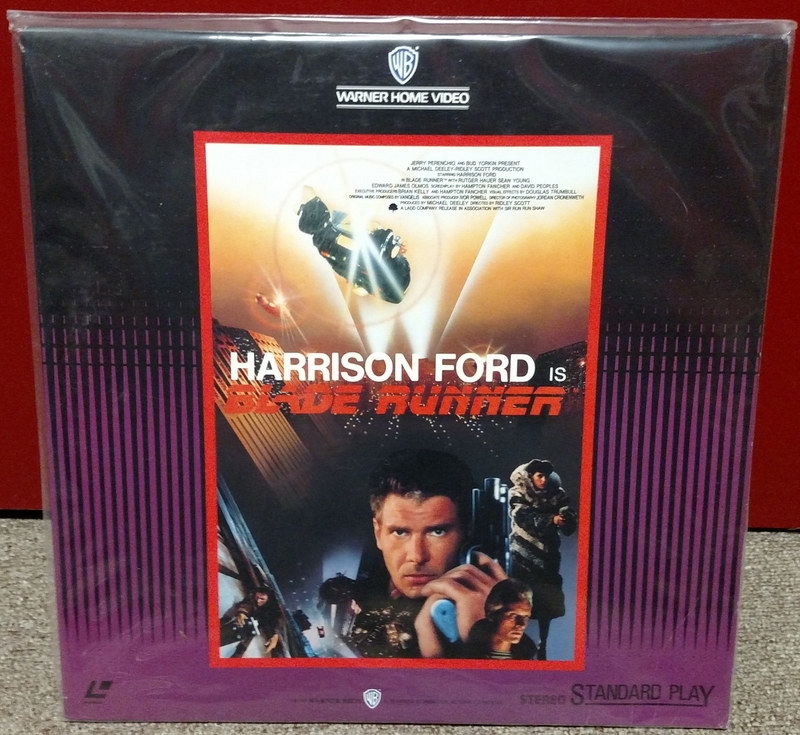 Nevertheless, I continue to hang onto a collection of discs largely for sentimental reasons. 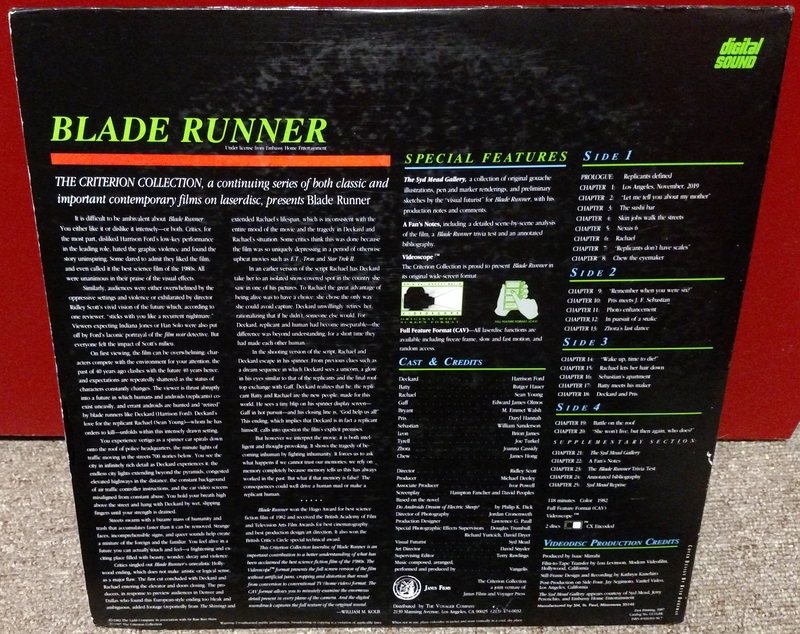 At some point, I became obsessed with obtaining every NTSC Laserdisc edition of Blade Runner. Recently, I had a desire to pull them off the shelf to take a good look at their cover art. 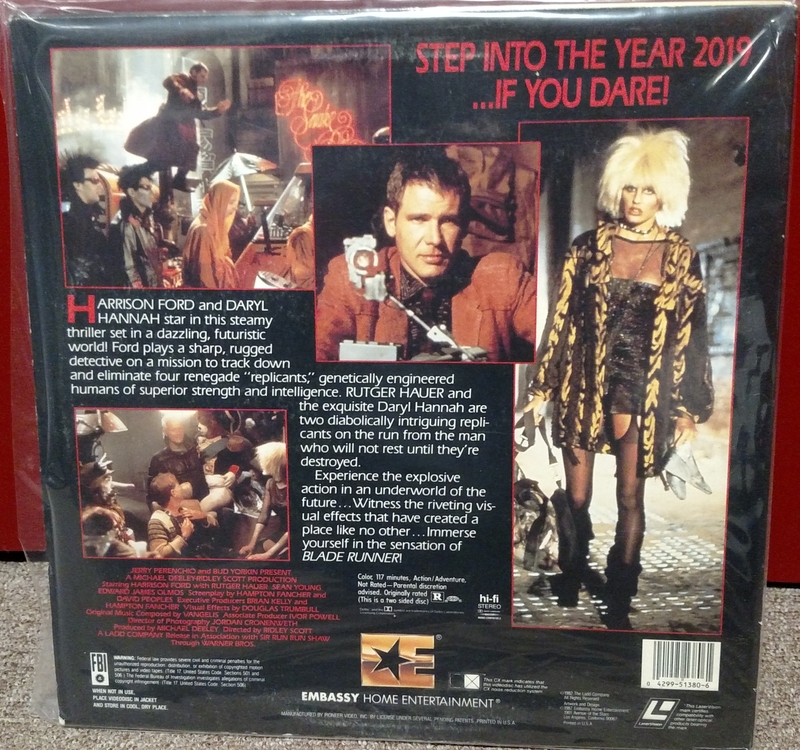 Despite a warning on the cover that “This film contains never before released scenes of graphic violence that were edited out of the theatrical release,” the disc itself only contains the American theatrical cut without that graphic violence. 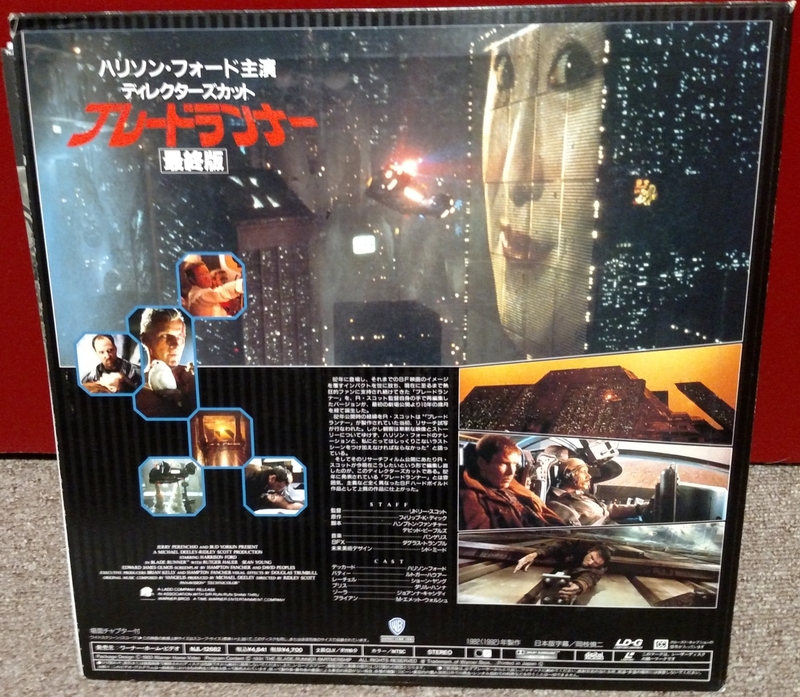 The artwork was copied from a template used for the VHS release, which was the European cut. 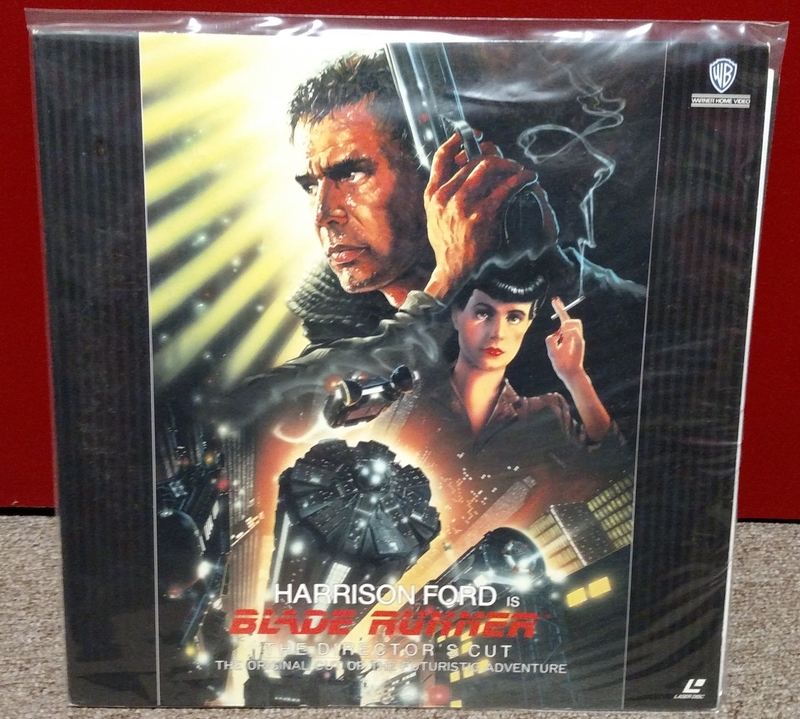 For some reason, that master didn’t get used for the Laserdisc. 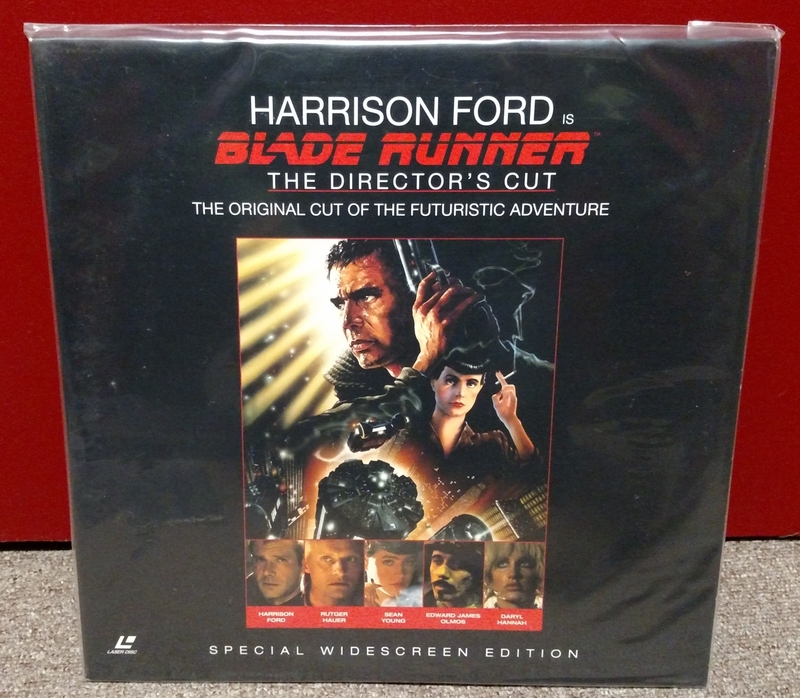 This was the first widescreen home video transfer for the film. 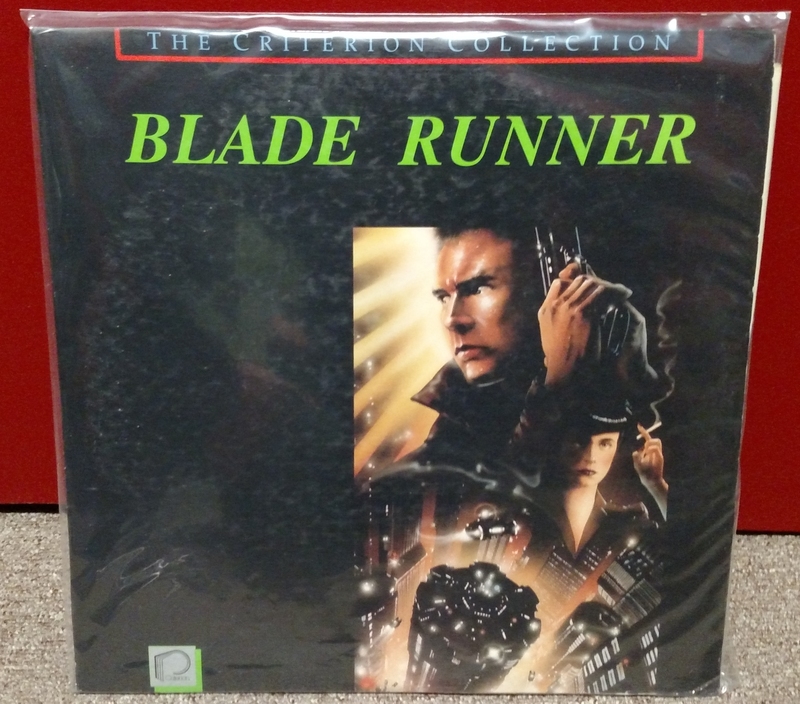 Criterion also released a CLV edition, but I never owned it because it had the same cover art and felt redundant to me. 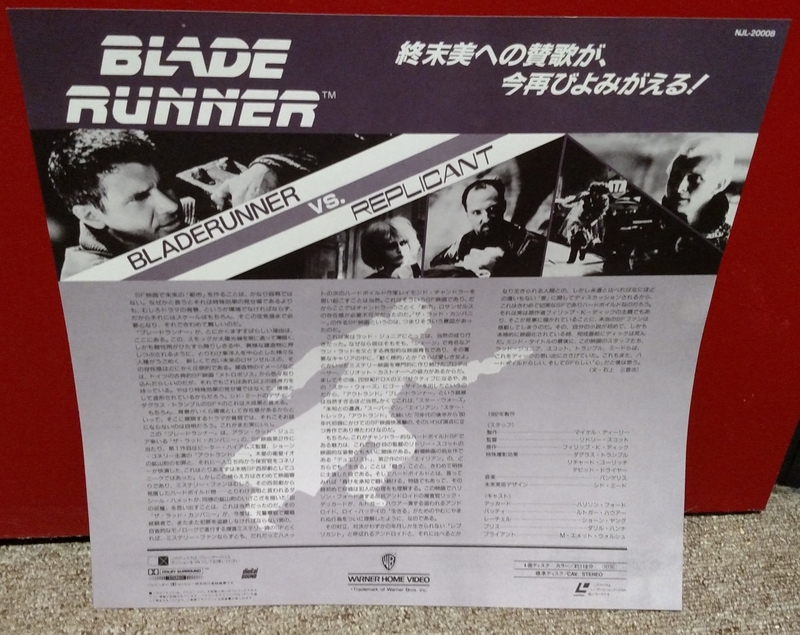 Note that the artwork appears to either be a variant or a recreation of the original poster art. 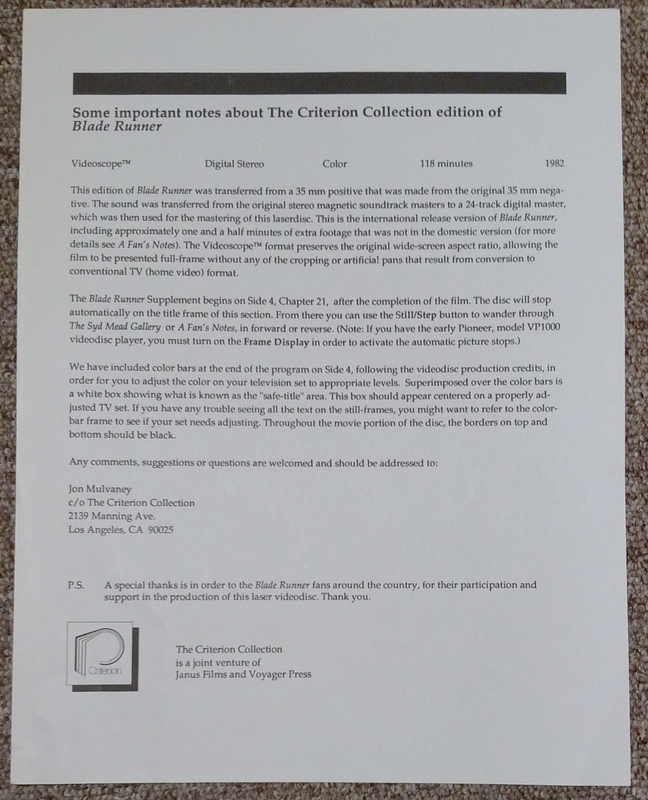 For the Japanese market, Warner Bros. licensed Criterion’s video transfer and supplements. 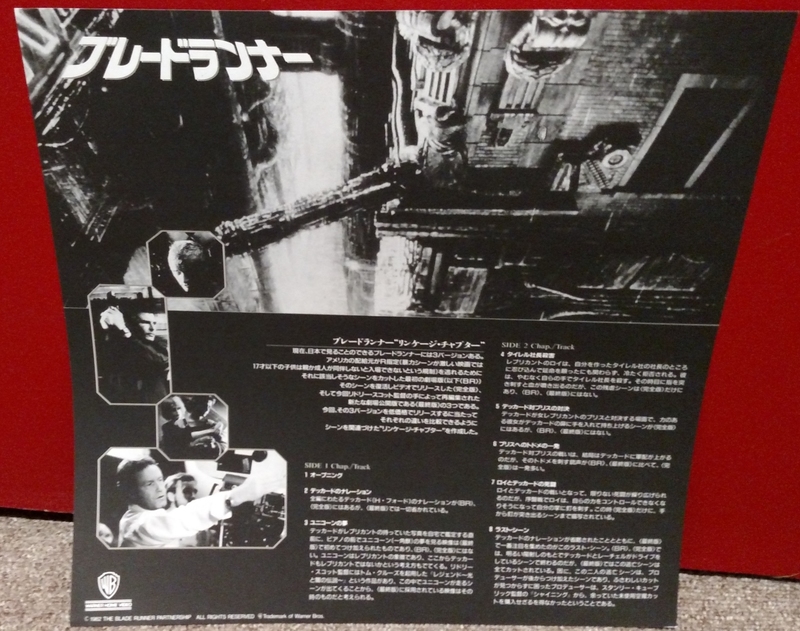 The video looks noticeably softer, however, and has Japanese subtitles in the lower letterbox bar. This is essentially the same as the above, but in CLV format and with no supplements. 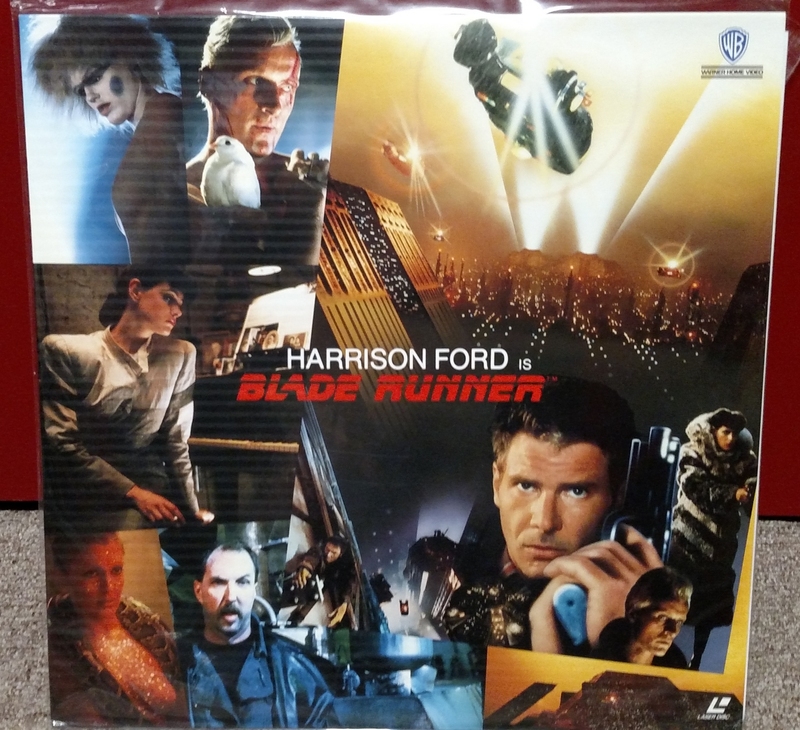 I have no idea why Warner chose to release the cropped American cut after having released the letterboxed European cut, but I really like this cover art montage. This disc came with the same paper insert as #6 above. ^ Also, I was sitting here swearing I remember it being only ONE disc…then I see you posted there’s a single-disc version. That’s the one I have. I remember asking yoi for this article the very first time I emailed you about six years ago! Awesome collection man. Like Shannon I have the Criterion on as well and I believe the DC release from 1993. 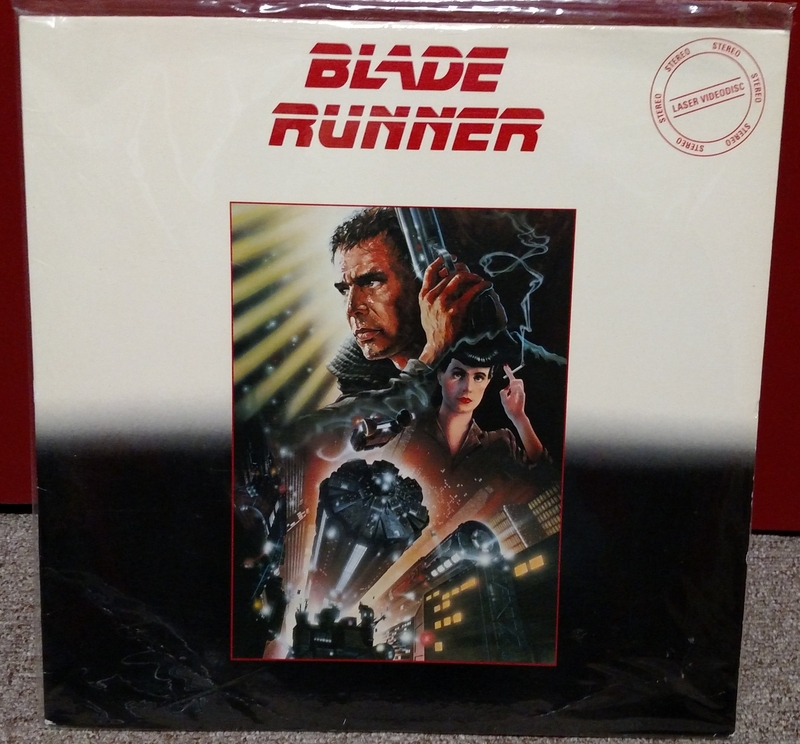 Also, the timing of this post is rather curious given the fact I actually hooked up my brand new UHD player to my new TV last night and watched Blade Runner to break in the new format, what are the odds of that? Pretty damn slim lol. Also, how long ago did you upgrade to 4K? How many discs have you seen so far? What’s your overall impression of the format so far? Worth it after all? I have an OPPO 4k player and a handful of discs, but I currently downcovert them to 1080p on my projector. Ahhhhhh…did you pick up the Oppo before or after they announced they were shutting down? Before the announcement, but only just barely. 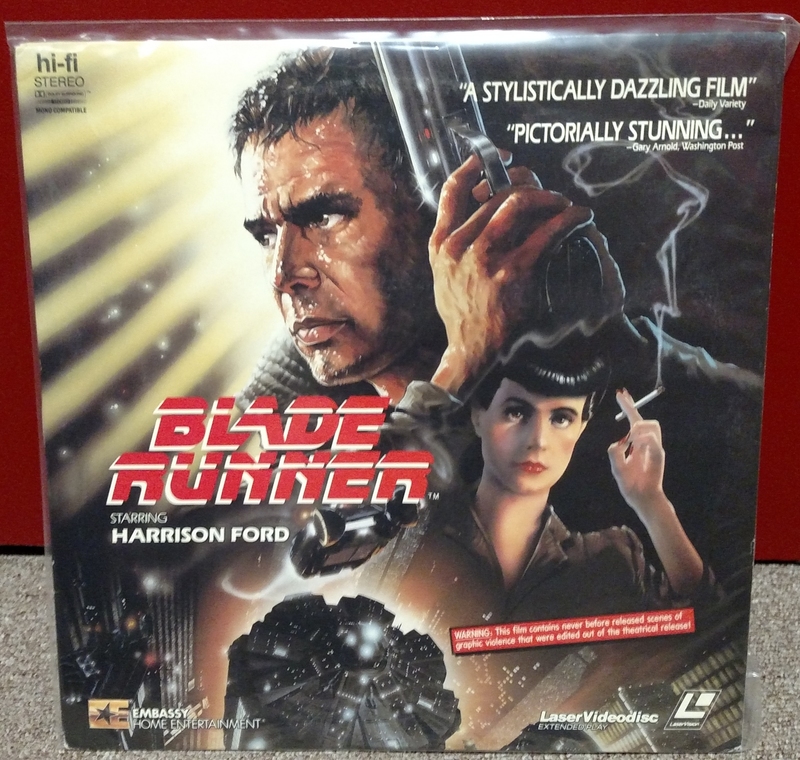 Although Iʼm not quite a fan, I like and admire the film enough to have even attended a Blade Runner marathon (American theatrical, “directorʼs”, and “final” cuts) a few years ago; accordingly, I can empathize anent this multi‐version odyssey. Thanks for sharing. 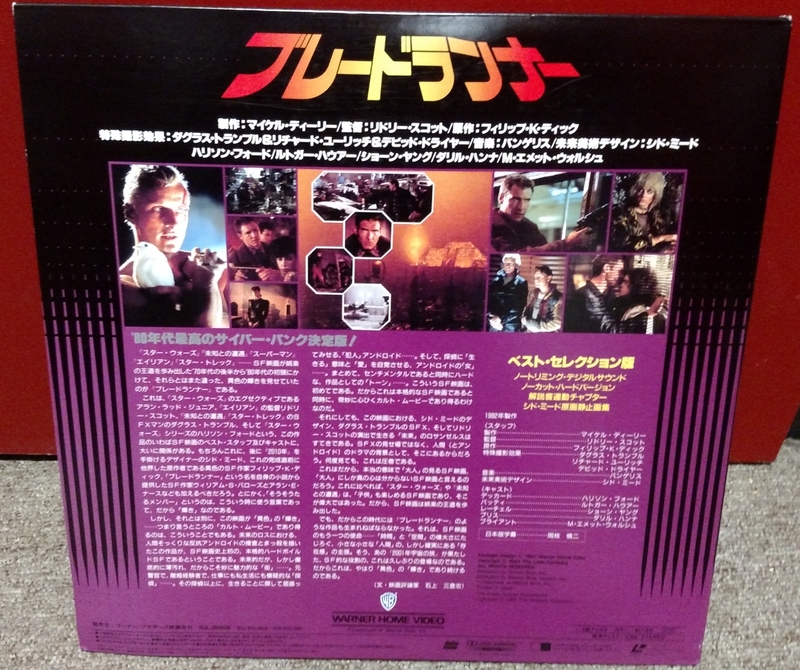 Love this post, both as a LaserDisc enthusiast and a Blade Runner fan. 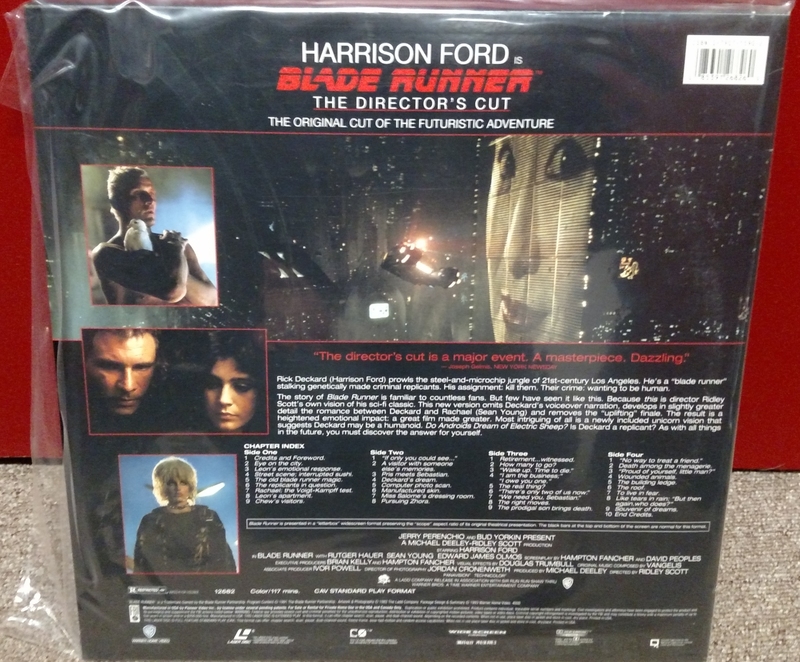 Funny how Warner kept writing ‘Harrison Ford IS Blade Runner’, as if that’s the name of the character he plays. 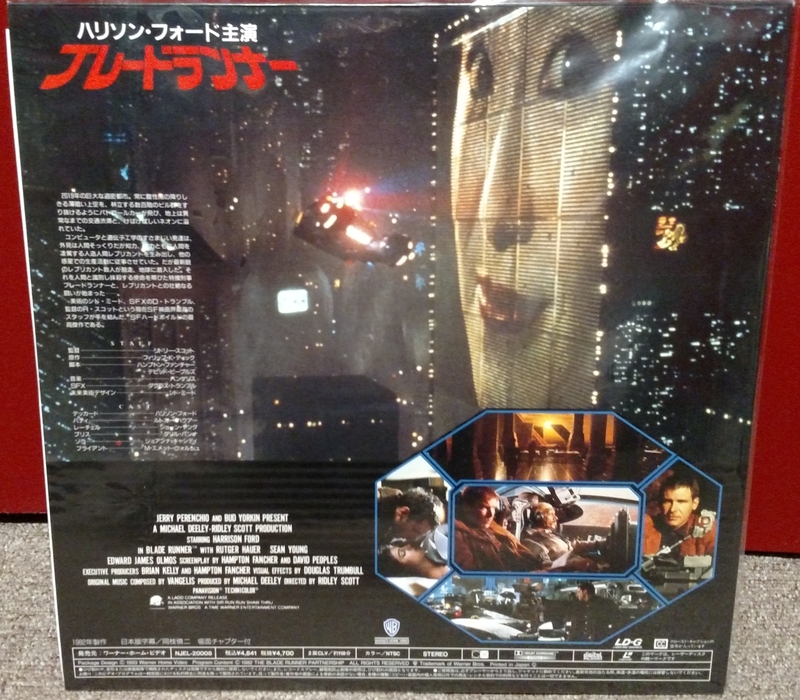 Rather, he’s just ‘a’ Blade Runner – but the best in the business, as stated by M. Emmet Walsh’s Bryant. 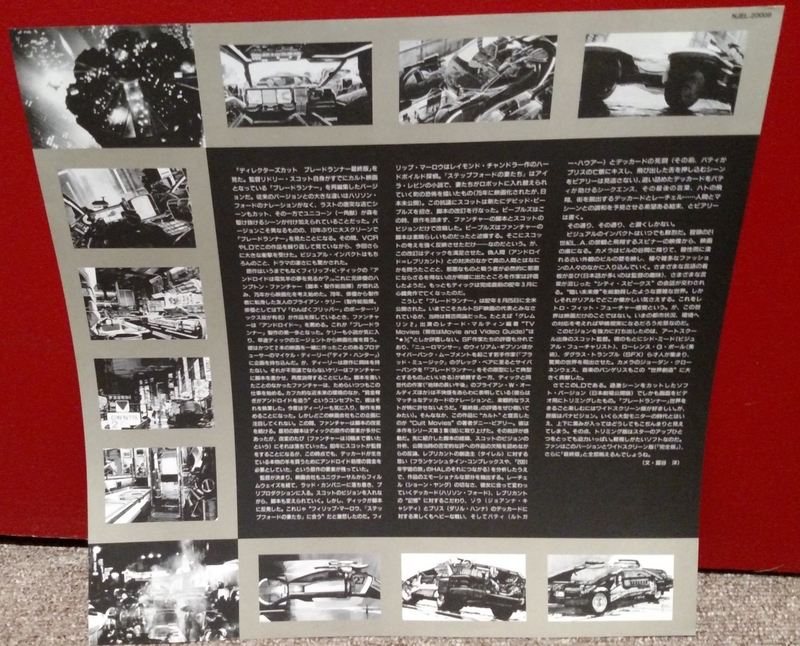 I’ve added a note about the 1987 Embassy release. 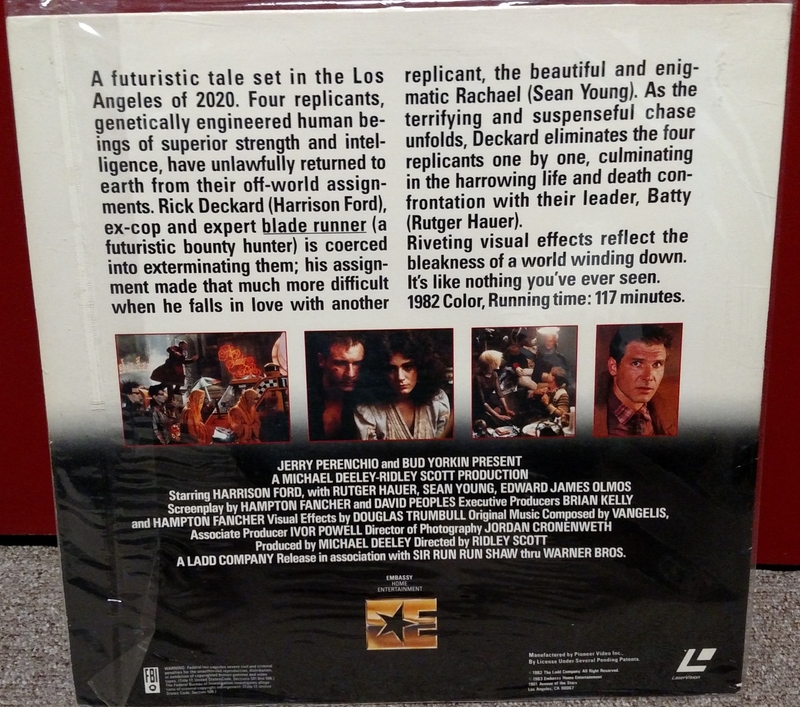 The cover art erroneously claims that the movie contains the extra violence from the European cut, but the disc itself is only the American cut.